Posted April 25th, 2018 by Kirt Mosier & filed under News. 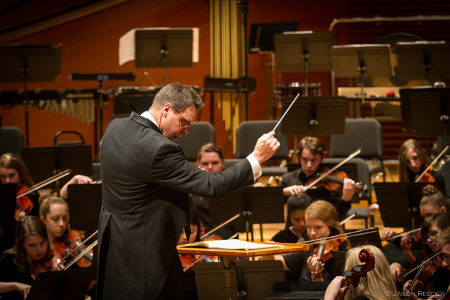 Kirt Mosier, recently retired as Director of Orchestras at Lee’s Summit West High School in Lee’s Summit, Missouri, has also taught orchestration and arranging as an adjunct professor at UMKC Conservatory of Music in Kansas City. Not only is he a sought after composer, but also has twice won national composition awards. In 1993, his original work, Baltic Dance, won the National School Orchestra Association Composition Contest, and in 2004, American Reel won the 2004 Merle J. Isaac national composition contest. 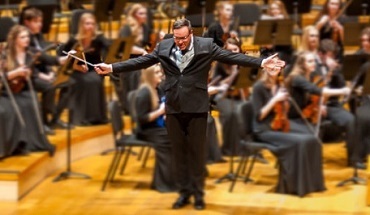 From 1990 to present, Mr. Mosier has conducted numerous orchestras throughout the United States and internationally. In addition, he has frequently served as keynote speaker at various conferences and events. Mr. Mosier has been the past orchestra vice-president for the Missouri Music Educators Association, and is currently the president-elect of American String Teachers Association for the state of Missouri. Mr. Mosier was also a quarterfinalist for the 2016 Grammy Music Educator of the Year award.